John Giebelhaus was born in Norka and married Margaret Ross. Margaret was the daughter of Wilhelm and Elizabeth Ross (née Braun) of Norka. John and Margaret had two children: Emma and George. 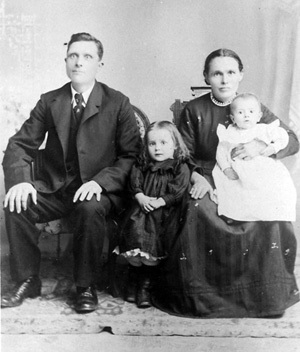 John and Margaret Giebelhaus with children Emma and George. Courtesy of Joe Jones. 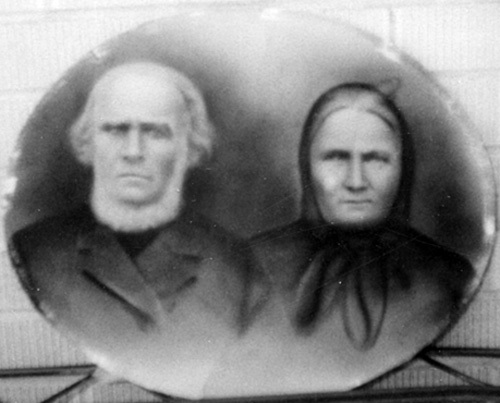 Wilhelm and Elizabeth Ross - parents of Margaretha (Ross) Giebelhaus. Courtesy of Joe Jones.